Oh No! Do I Have a Stress Fracture? A stress fracture injury usually causes a bigger setback than soft tissue injuries. It usually requires at least six weeks off from running and it may take several months for bones to become stronger after experiencing a high level of stress. If you catch a stress fracture early on before too much damage is done, it is referred to as a stress reaction and may only require a few weeks off from running. Stress fractures can be difficult to diagnose as x-rays will not initially show the fracture. After several weeks, it may show evidence around the affected area of the bone attempting to heal the fracture. To confirm a stress fracture, your physician will check the history of your injury and perform a physical exam. An MRI or bone scan may be required to confirm the presence of a fracture. There is usually tenderness and swelling in a specific point directly over the injury and an aching or burning pain is felt along the bone. Gently tapping on the bone will cause pain, which is not the case if you have a soft issue injury. You will experience pain in the affected bone that get progressively worse if you continue to run or walk on it. The pain often subsides when resting and crutches can be a very helpful aid to recovery. A stress fracture can be caused by a number of factors. The most common is a rapid increase in training activity over a short period of time and not following a proper training plan. Increases in time, type or intensity of any training activity should be done gradually and with regular easy weeks. When a bone is stressed, it is actually weaker for about a month after a change or increase in training before it becomes stronger. This is why it is never a good idea to keep increasing workout intensity without having recovery periods. Rather than increasing 10 percent each week as is usually advised, perhaps cutting back every 3 or 4 weeks would give your bones the rest they need to get stronger. Another common cause of a fracture is poor posture including incorrect running cadence (steps per minute). You should be doing 180 steps per minute. A slower cadence will result in hitting the ground too hard and staying on the ground too long, both resulting in more stress on the bones. Overstriding can also be a factor. Be sure your foot lands directly under your centre of gravity. Minimal running shoes may help as they discourage heel striking and overstriding. Unfortunately the only way to recover from a stress fracture is to rest and it usually requires rest for 6 to 8 weeks. You must not run or you risk developing a full fracture, which will greatly increase the amount of recovery time. Do not bear weight on the area if it causes pain. Crutches or a cast may be necessary. A good guide to follow is: If it causes pain, don't do it! Ice the area to reduce swelling and do other activities to maintain your fitness. Safe activities could include deep water running, spin classes or an Alter-G anti-gravity treadmill if available in gyms in your area. Eat well and include calcium-rich foods. This is especially important for women. 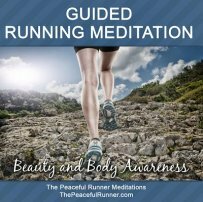 Try to improve your running posture when you get back to running. 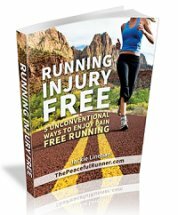 You should be pain free for two weeks before returning to running. When you return to running, you may experience phantom pains. These pains feel similar to how the injury felt and are often a result of having a fear of getting re-injured. 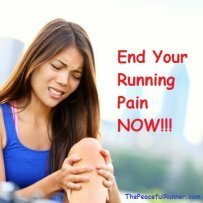 To ensure that it is only phantom pain you are experiencing, ask yourself this question: Is the pain constant or does it get worse while running? If the answer is yes, stop running. If the answer is no, continue to run and use an affirmation to help you overcome the fear of injury.